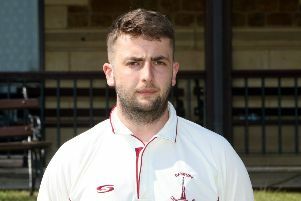 Pace bowler Jake Heath proved a class above as Cropredy thumped Oxford & Bletchingdon Nondescripts by 194 runs to be the early pacesetters in the Cherwell Cricket League. Winning the toss, Cropredy opted to bat first in Saturday’s division two fixture and racked up 277-9 with Russell Beckett 66 and Aussie Matt McInerney 54 top scoring. There were also good contributions from Joe Fox, Jake Heath and Gayan Sirimane while Idris Mohammed took 5-93 for Nondies. In reply, Nondies could not stave off the pace and aggression of Heath, who finished with 5-33 as the visitors were shot out for just 83 runs while McInerney took three wickets in an explosive spell of bowling. Steve Dobson’s half-century helped Sandford St Martin to a thrilling ten run victory at Leighton Buzzard Town. Dobson struck 53 out of Sandford’s 161 all out, Jack Kempster taking 3-21 and Dan Scott picking up 3-23 for Buzzard. Phil Whatmore scored 79 and Tom Light 39 in the home side’s reply but 4-21 from Philip Nicholas and 3-23 from Simon Smith helped to dismiss them for 151. Great & Little Tew II fell to their second defeat, losing by 21 runs against Bledlow Village at Ledwell Road. Jack Haggett took 4-47 for Tew as Bledlow were bowled out for 181. But Tew fell for 160 in their reply as Waseem Khan took 5-33 and Tom Moore 4-21. Banbury II beat Horspath II by 97 runs in division one. Banbury posted 253-8 thanks to some good hitting and running in the last ten overs. Justin Lambden 55, George Tait 28no, Mark Pallet 26, James Mitchelmore 24 and Josh Megson 20 all made valuable contributions. In reply, Horspath were reduced to 20-3 as Ollie Murrey took three early wickets before they put 100 runs for the fourth wicket. Tait and Jimmy Phillips took three wickets each and James Mitchelmore had a run out during a ten over spell in which Horspath lost their last seven wickets, being dismissed for 156 runs.